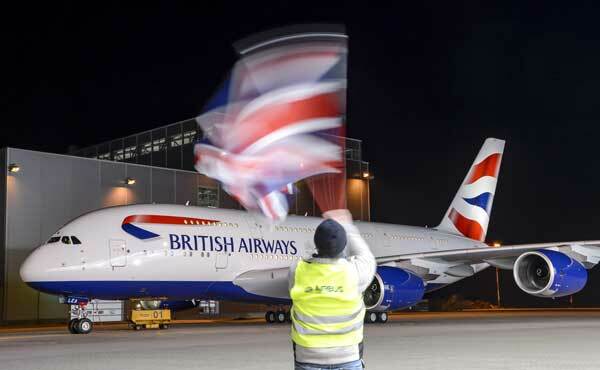 As preparations continue for the first proper commercial flights of BA’s first A380, the airline has announced the third route to utilise the plane – Johannesburg. The airliner is currently timetabled to fly the route from 12th February 2014, although it is reported that BA will bring the date forward if it can. Initially, three flights a week will use an A380, increasing to six a week from March 2014. This will hopefully free up some Avios award availability to the region, which has become very tight since South African Airways dropped London to Cape Town. Europe to South Africa has always been troublesome for airlines, because it typically requires the aircraft to spend 10-12 hours on the ground before returning due to take off and landing restrictions. As I wrote recently, the first scheduled route for the A380 is Los Angeles from 24th September, followed by Hong Kong from 22nd October. It has also been announced that Los Angeles will increase to 2 x A380 rotations per day from the new year. BAs a380 route network seems aeems to lack strategy xompared to other airlines but I am sure it soes have some rationale for BA. I suppose one of the plus loints for them is that having uniform products across their longhaul fleet they can easily interchange 777s 744s and a380s without causing passenger grumbles about inconsistent products in certain market areas. Still, aa much as I like CW as a solo traveller, I remain disappointed BA appears to be falling behind the competition rather than taking the opportunity to introduce a step change with the a380. Nonetheless, I hope this apparently haphazard route deployment means there are more BA a380 orders to come because the quietness and space make it a pleasure to fly. Just wish the would up their game and introduce a new more spacious CW and a F cabin that is worth the difference between F and J. What makes you think the route choices are “haphazard”? I’m not surprised by any of the three (LAX, HKG, JNB) so far but then I don’t really know a lot about the underlying reasons and what drives all this. Just in the sense they are spread out wheras other airlines have tended to focus on one or two market areas and/or operate all or most of their daily rotations to a single destination with the a380. But as I said BA does not need to do that due to a uniform product over all aircraft types. I am sure BA is putting the a380 on routes it knows can support the extra capacity. I am hoping that means their once daily Bangkok srvice will get a380 soon as along with HKG is my main deztination. No chance on Bangkok any time soon. That’s getting a 3 class 777-200 from later this year. The terminating Singapore service could well be in line for A380 service though. Oh thats bad news. I dislike 777s and the smaller aircraft probably meand even less award availability than usual. Seems like gulf carriers are really hurting everybody else into BKK these days. Word is the terminating SIN will be having a short hop to Jakarta so unlikely that will ger an a380. I don’t think it is airport restrictions keeping planes on the ground in JNB all day, more that the business market is such that no or minimal time difference mean overnight each way is preferable for premium passengers. KLM are the one that bucks the trend, flying south in daylight with a 2h turnaround heading back overnight. JNB is my most frequent destination for work, so it’ll be interesting to try the new bird out. I’m with-holding an opinion until I have done so though, as I’m still rather fond of the old Jumbos currently on this route, especially when I can bag a seat on the upper deck. Jumbos are lovely and I will be sad to see them go. However, the a380 is a nicer and much quieter airplane but you will miss the feel of smallee 744 upper deck. For me it was not an issue as I liked the space of main deck better. What I will miss is the feeling of sitting in nose of a 744 in first, just something about that I like, except on BA where I dislike F cabin ambiance.